Ask any homeowner what the most challenging part of selling a home is, and they’ll likely respond: decluttering. Decluttering is a huge endeavor. It takes time, patience, good judgment, and stellar organizational skills. It also requires follow-through. Decluttering does you no good if your clutter sits in trash bags by the front door waiting to be donated. 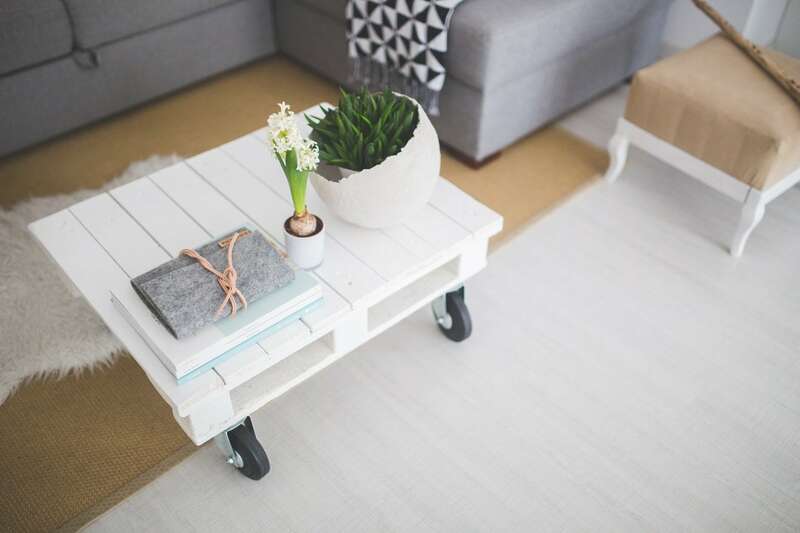 Luckily, there’s a new and trendy way to declutter your home. It’s called the KonMari Method, and it’s changing lives! 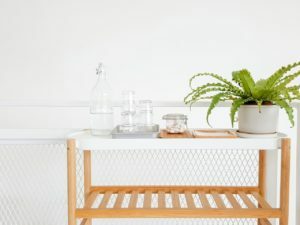 The woman behind the KonMari method is a Japanese consultant and writer named Marie Kondo. Author of the book The Life Changing Magic of Tidying Up that inspired a new Netflix show, Marie has some amazing tips for, well, tidying up. Both her Netflix show and book are full of amazing tips for decluttering your home. If you’re getting ready to sell your home in Raleigh, we highly recommend checking them out! Sort your possessions into categories, and start from there. Instead of going room by room, eliminate your clutter by category. Start with your clothes. Pick up an item of clothing and take a long hard look at it. Does it spark joy? Does it make you feel happy, or remind you of a wonderful memory? For the less sentimental of us, here’s an alternative way to look at it: when’s the last time you wore this? Try it on now: does wearing it make you happy? I you answered “no” to any of the previous questions, it’s time to get rid of it! 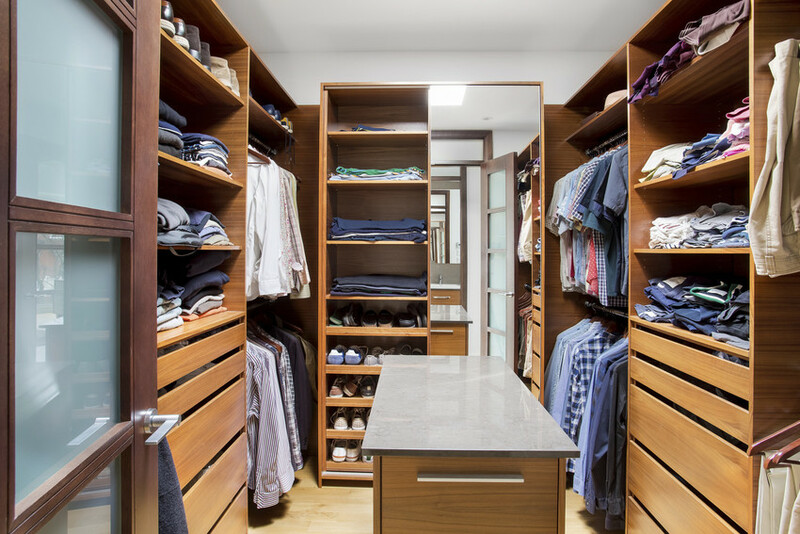 Marie Kondo’s method is time-consuming, but effective. Not only that, you’ll end the process feeling good about all of your belongings. You’re increasing the amount of space in your home, decreasing your belongings, and making your upcoming home sale and relocation easier. Now that’s something you should feel good about! 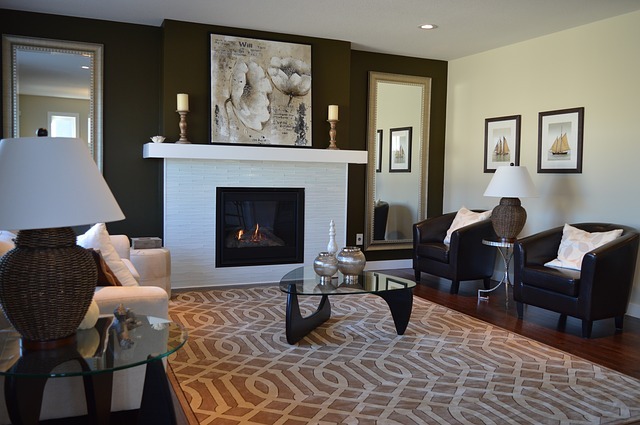 When you’re selling your home, first impressions are key! 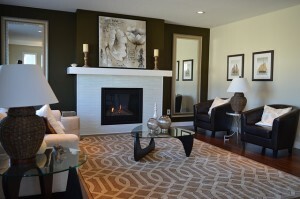 That’s why staging your home for the Raleigh market is essential. And, you can’t begin staging until your home is thoroughly decluttered. 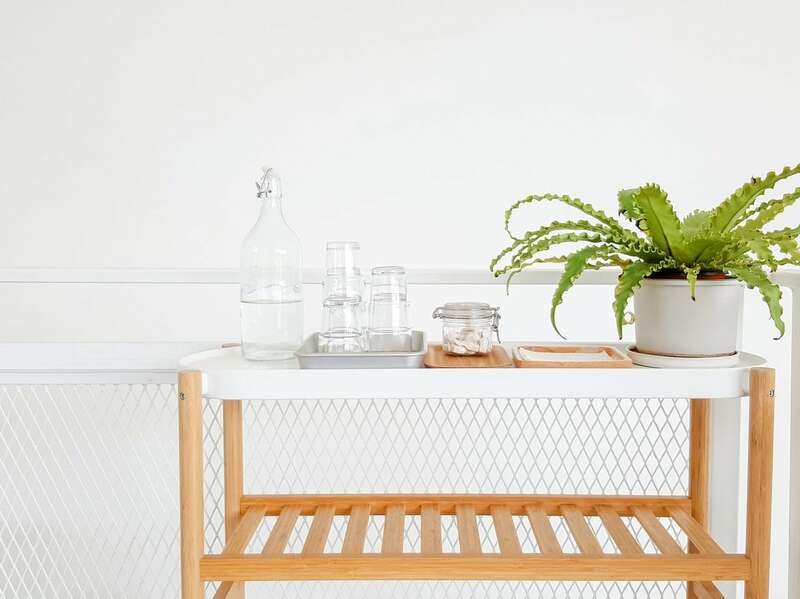 By using the KonMari method, you’re ensuring that your new home will be filled only with items that spark joy. If you’re ready to list your Raleigh home, please give us a call at Linda Craft & Team REALTORS®. We would love to utilize our area resources to help achieve a home sale that sparks joy in you! Your home is most likely one of the largest personal investments you will ever make. Whether it’s your first time jumping into the homeownership pool or even if you have taken the plunge multiple times, you may not know the safest way to care for your investment so that you are giving it the TLC it deserves rather than making a catastrophe. 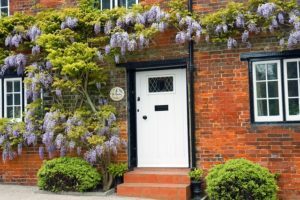 Here are a few helpful tips to keep your house well maintained rather than encouraging problems. Let’s Start Outside — Easy on the Mulch! In the case of mulch, more is not better! Mulch should be no deeper than three inches. This ensures that water can get down to the roots, but will not smother the plant. Also, try to keep it a few inches away from the foundation. You don’t want to encourage insects! Trees — Oh How They Grow! So many homeowners tend to plant trees without doing their research to see how big that lovely timber will get when it is mature. Do your homework. What’s that tree going to look like in a decade or two? It is best to make sure your mature tree will be at least six feet from the house — that’s not the trunk, that’s the widest part of the branches. Also, stay away from planting too close to the driveway and sidewalks so the roots don’t grow underneath and create damage. You know those wonderful conifers you love to see in the wintertime? Well, make sure they aren’t too close to the house either or you may end up with a dark feel to the house because of too much shade. Too much shade could very well encourage molds and mildew you will have to contend with at some point. That means more work! The Georgia Forestry Commission put out a handy guide to planting the trees with a section on site selection which could be useful. You know all those charming pictures of cottages with the quintessential ivy growing on the outside? Well, those folks might have had tons of charm, but they probably had termites, too! And, if they didn’t have termites, they may have had damage to drain pipes or gutters that were sagging from the weight of the vines. 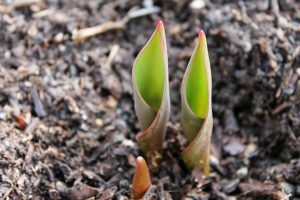 Shoots and roots can introduce water and insects to siding and shingles. Suggestion? Find another way to add charm to the outside of your home. Keep the ivy for areas away from the home where groundcover is appropriate. Keep Bleach in the Laundry Room! Yikes! And here you thought bleach was good for cleaning all things! On grout it can actually feed mold growth. So what’s the answer? Water and vinegar can be used in most cases. In your disposal, just cold water and ice cubes. NO LEMONS! Baking soda is better, but you can also freeze water and vinegar and use the cubes to both sharpen the blades and remove odors. Nope. It can cause black edges around your mirrors and often smears and streaks. It’s much better to just use a microfiber cloth and warm water. Clogged Drains? Go Mechanical, Not Chemical! Unclogging a stubborn drain with something you might think is a little old fashioned — a plunger or a drain snake. Chemicals can erode your pipes and cause more damage in the long run. If this simple option does not appeal to you, consider the fact that it is much cheaper to pay a plumber $100 than it is to experience water damage or the cost of replacing pipes. Do you know the difference between mortar caulk and gutter caulk? There are probably just as many types of caulk as there are types of toothpaste. How are you to know which one to use? Chances are there is a caulk for the specific job you are about to tackle. Kitchen and bathroom caulk is a perfect example. Match the project to the caulk or ask what’s best when you go to purchase it. 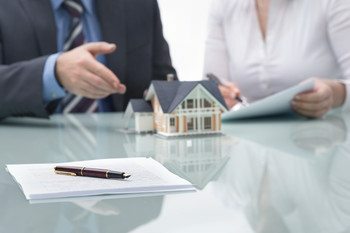 At Linda Craft & Team, REALTORS®, we have over 30 years of experience developing our techniques and providing buyers in the Greater Raleigh area with exceptional service. As the #1 real estate team in the Triangle, let us equip you with our wealth of knowledge to help you give your home the proper care! Schedule an appointment with us today at 919-235-0007 or review our home buying resources for a full listing of all of our services and more! What’s in Your Hurricane Kit? Although June through November is technically “Hurricane Season,” NC tends to get the worst of the storms in the August/September timeframe. It’s never too redundant to put out a reminder of all the things that should go into your Emergency Kit just in case a storm heads this way. Whether it’s a tropical storm or a full-blown (no pun intended) hurricane, it’s always good to have a list of items you may need, where to get the most up-to-date weather information that is reliable, and plans for action should you need to respond in order to be safe. It’s all about keeping yourself and your loved ones safe. Water: 1 gallon of water per person per day – don’t forget your furry friends. If you have well water, plan enough in advance in case the electric pump fails. Battery-operated electronics: Battery or crank radios, cell phones with battery pack for charging, charger cords, and lots of spare batteries in different sizes. Fuel: Gas up your car – get fuel for your generator if you have one and make sure it is in good working order. A place to stay: Have a backup plan for housing in case you can’t stay in your own home. Even extended power outages can be uncomfortable. Easy-to-prepare food: It’s best if it doesn’t have to be cooked or refrigerated – again, don’t forget your pets; make sure you have their food and medications, vaccination records, and ID tags on their collars. First aid kit: Include first aid supplies, flashlights and batteries, and medications. Protected documents: Important documents (life, health, and homeowner’s insurance) should be stored in a waterproof bag or off site in a safety deposit box. Bring in anything that can act as a projectile when the winds get high. Find your “safe haven” inside the house where you can avoid windows. It could be the space under the stairs or in an interior room with no windows. If you haven’t looked at your homeowner’s policy lately, you might want to take a look or ask you agent to go over damage and replacement costs with you ahead of time. Do you even have or need flood insurance? A watch is when a treat of a hurricane is projected 48 hours out. This is a good time to take stock of your supplies. Above all, stay informed in case a warning is issued. A warning means that within the next 36 hours a hurricane threat is imminent and whatever action authorities deem necessary should be taken seriously. Even the threat of a tropical storm should be taken seriously. They may have lower wind speeds but they can still be dangerous as flooding and flying objects can be an issue. 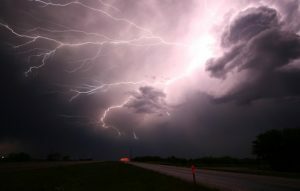 Even if the power goes out, you can get weather alerts on your phone if you can keep it charged. The Red Cross has an Emergency App you can download and the ReadyNC app has weather alerts on it as well. Want to Know More About Protecting Your Home? Linda Craft & Team, REALTORS® is committed to providing home buyers, home sellers, and homeowners in the Greater Raleigh area with the information they need to make the best real estate decisions. As the #1 real estate team in the Triangle, we can offer you a wealth of resources and over 30 years of local expertise. 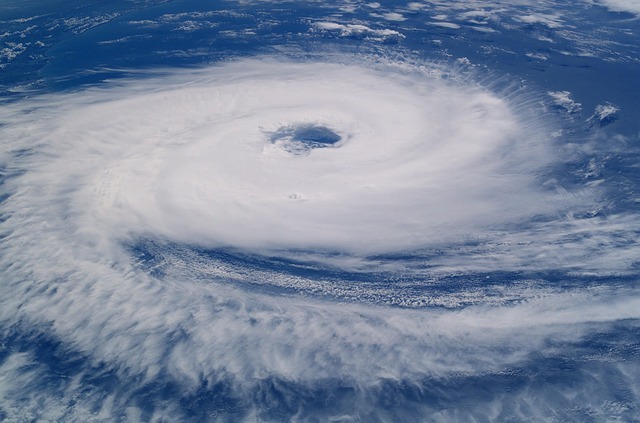 Contact us today at 919-235-0007 for a full list of our services and more, including additional tips about protecting your home from weather events. If you’re like many homeowners in the Greater Raleigh area, you are determined to organize your home in 2017 (since you weren’t able to get around to it last year). The secret to keeping any New Year’s resolution is making sure your goal is “smart” — specific, measurable, action-oriented, realistic, and time-based. 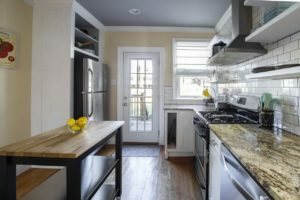 That’s why it’s almost impossible to tackle a whole-home organization project without a deadline or specific list of steps. At Linda Craft & Team, REALTORS®, we want to help you accomplish your New Year’s real estate goals so you can focus on the things that matter. Follow this 3-week organization calendar and you’ll have your whole home completely organized by February 1. There’s always a certain room or space that seems to be a catch-all for laundry, unorganized files, or miscellaneous household items. Here’s how you can conquer the mess in just a week. Day 1: Identify problem areas in each room of your home, including the garage and attic. Set aside boxes for items you intend to donate and trash bags for stuff you need to toss. Day 2: Add drawers, coat hooks, and a designated container for shoes by your front door. Day 3: Organize pet supplies or children’s toys. Day 4: Designate specific spaces in your kitchen for utensils, spices, pots and pans, etc. Day 5: Fill space-saving containers with dry goods from your pantry. Day 6: Replace bulky clothes hangers with thinner, non-slip hangers. Donate any clothes you no longer wear. Day 7: Give your accessories (scarves, winter hats, gloves, etc.) a special bin in your closet. Donate any items you no longer use. Fill a box with household items, clothes, and books that you no longer use, and plan to donate it to a local charity or thrift store at the end of the week. Day 8: Throw out any expired food that has been sitting in your fridge or pantry. Day 9: Sort through your coffee mugs. For every one you keep, put one in the “donate” box. Day 10: Donate any kitchen gadget that you haven’t used in more than a year. Day 11: Pick through your storage containers and Tupperware. Toss any that don’t have a lid. Day 12: Go through all of your books, movies, and games and donate any you haven’t opened in a year. Day 13: Sort through items you keep in under-bed storage containers. 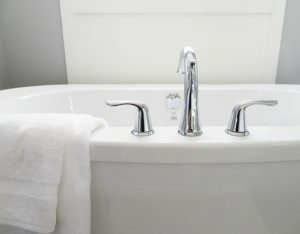 Day 14: Take everything out from under your bathroom and kitchen sinks. Put back only the items that you’re going to use. 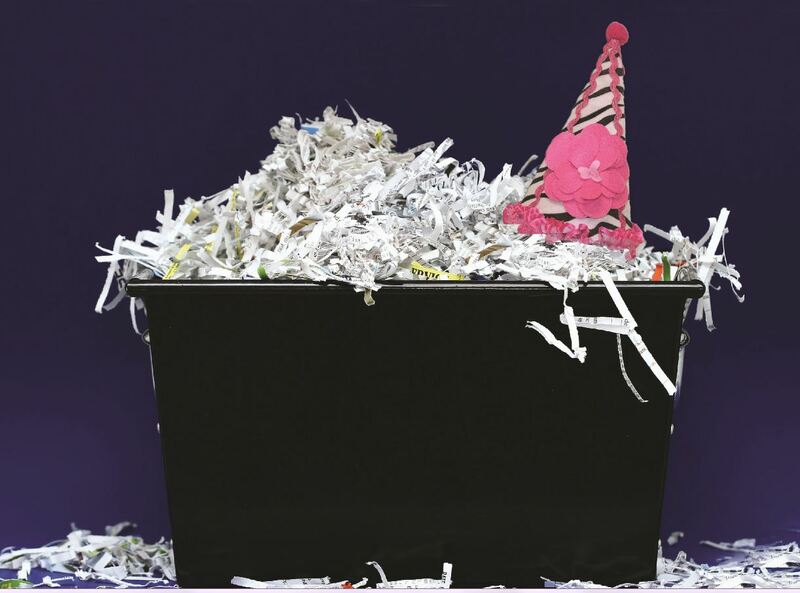 It’s easy for paperclips, rubber bands, paperwork, and old files to pile up in your home office. You can tackle this entire room in less than a week by focusing on these 30-minute tasks. Day 15: Declutter your desk of piles of paper, office supplies, and miscellaneous knickknacks. 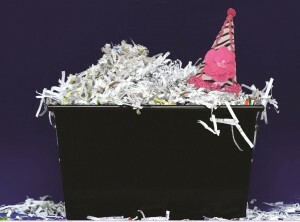 Day 16: Shred your old tax records and documents now, or wait for our free shredding event in the spring. Day 17: Label your files and place them in a filing cabinet. If your home has a garage or attic, chances are that they’re the trickiest spaces to organize. Follow these quick tips for freeing up your storage space. Day 18: Hang up wall shelving to keep items off the floor but within easy reach. Day 19: Put all your tools in an easy-to-find spot, such as a pegboard on the wall. Day 20: Use a shoe organizer to store rope, extension cords, nails, etc. Day 21: Store all your holiday decorations in one section of your garage or attic. Congratulations! You’ve tackled your home organization project in less than a month. You can keep the clutter at bay by sticking to a regular cleaning schedule. Buying or Selling a Home This Year? We hope you have had a productive start to 2017! If you’re planning to buy a new home or sell your current home in the Greater Raleigh area this year, we have the tools you need to get started right now. Set yourself a deadline, identify your goals for buying or selling a home, and contact us at 919-235-0007 to schedule a consultation. 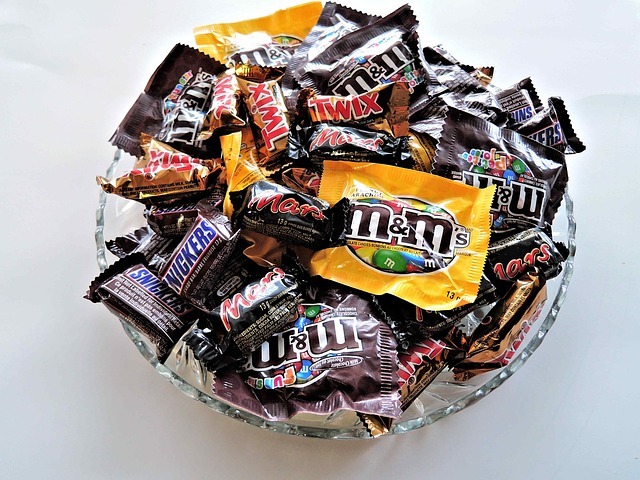 Halloween is just a few days away, which means that many homeowners in the Triangle area are busy stocking up on candy for the trick-or-treaters. 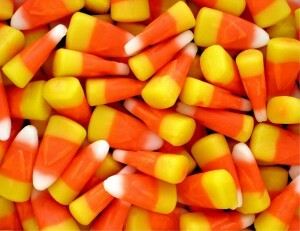 But what should you do when November arrives and you’re left with half a bag of assorted chocolates and sugary treats? You could always eat your leftover Halloween candy, share it with the neighbors or the office, or throw it away. Or, you could try pairing your candy with craft beer. What better way to enjoy your leftover candy than with craft beer made right here in the Triangle area? Here at Linda Craft & Team, REALTORS®, we are always looking for a win-win. 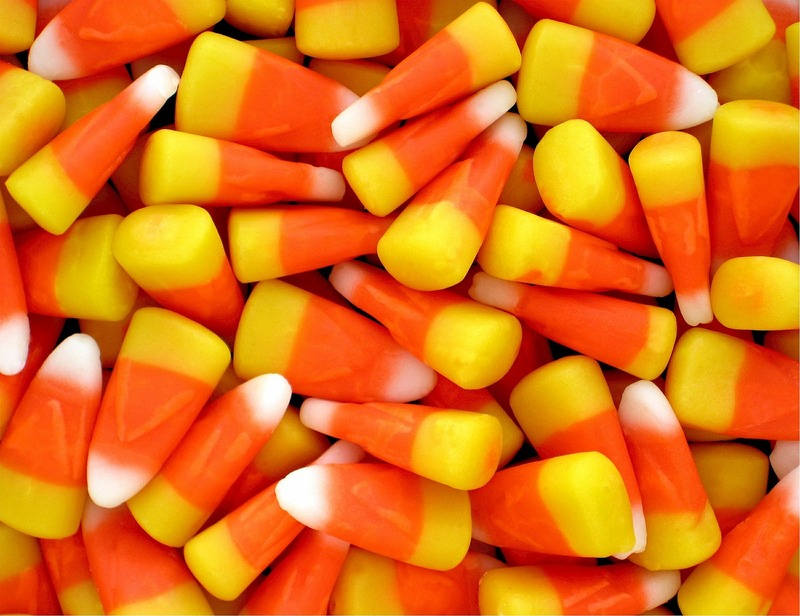 Consider pairing these local craft beers with your Halloween candy. This stout from Aviator Brewing Company, which is located in Fuquay-Varina, has hints of chocolate that will pair nicely with pure Hershey’s chocolate. The malty flavor of this red ale from Carolina Brewery will complement the caramel and chocolate of the Twix. Carolina Brewery has two locations, Franklin Street in Chapel Hill and Lowes Drive in Pittsboro. There’s no better pairing than peanut butter, chocolate, and cream ale. Try Fullsteam‘s El Toro with Reese’s Cups or Reese’s Pieces. If you’re relocating to the Triangle and searching for neighborhoods, the historic Hope Valley community is just 5 miles from this brewery in Durham. Neuse River Brewing Company in Raleigh has a Saison that complements the sour taste of the Smarties. This brewery is located inside the Beltline and is just minutes from Raleigh’s historic Flythe Hills and Hayes Barton neighborhoods. The spices in Crank Arm Brewing‘s seasonal pumpkin beer pair nicely with the cinnamon spices in Hot Tamales and Red Hots. Crank Arm Brewing is conveniently located on West Davie Street in Downtown Raleigh. If you want to live just steps from this brewery, unique shops, and top-rated restaurants, consider a home or condo in the Warehouse District. In addition to local breweries, the Triangle area is home to Research Triangle Park, major shopping and dining destinations, and excellent local neighborhoods. For over 30 years, we have helped home buyers relocate and find a home in their price range and in their favorite location. 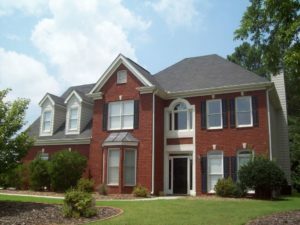 If you are buying a home in the Triangle area, contact us today at 919-235-0007. Though it may not feel like winter yet in Raleigh, December is ending and the winter is officially upon us. We can expect temperatures to drop as we head into the New Year. In preparation for the colder weather coming, we wanted to share with you some relatively easy home winterization tips that you can make that will save you money during the cold winter months. Here are 10 do-it-yourself home improvements that you can make on your Raleigh home this winter that will save you both money and energy. Make sure that all cracks and holes are sealed. This will keep the cold air out of your house, which will keep your heater from working overtime. If necessary, you might also consider adding or replacing weather stripping. This creates an extra layer of insulation in your home and also makes it easier to walk around your home in bare feet during the winter time. This will not only keep cold air from coming down and through your house but it will also prevent warm air from escaping through the chimney. Also, if you use your fireplace, make sure to close the flue when you’re finished. For instance, you can buy covers for your attic staircases or openings. This will actually help you reduce energy costs all year long. Even if you don’t have storm windows, you can create your own with a window insulation kit. And inside your house, consider using insulated drapes. Typically, the garage doors that come with most homes aren’t insulated. You can change that to save on energy costs. This includes in the attic as well as the crawl space, garage and basement. Experts recommend that you add insulation if you haven’t done so in more than 20 years. 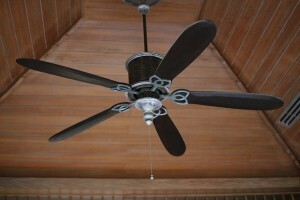 Some people may not be aware of this but you actually have the option of reversing your ceiling fans. Running them counterclockwise makes it cooler during the summer months but by making them clockwise, they will circulate warm air back into the room. Just like with anything else, dirty furnace filters will make it work less efficiently. Generally speaking, filters should be changed every month during the heating season. If your furnace is older, you might consider purchasing a newer unit that is going to produce more heat with less energy. Just make sure that you get the right size for the space you have. We hope you found this DIY home improvement advice helpful as a homeowner. Home winterization is a great way to not only keep your home warm and energy-efficient during the colder months in Raleigh, but it is also a great feature to offer when you are selling your home, especially during the wintertime. If you are selling your home, let us help make the process easier for you. As the Triangle’s #1 ranked real estate team, our trusted professionals can give you all of the advice you need to prepare your home for sale, from a video library of home selling tips to how to sell your home faster and for more money. We even offer tools to see how much your home is worth. Contact us today at 919-235-0007 or linda@lindacraft.com to talk with us about listing your home. Why Do I See Raleigh School Buses? School is out! School is in! 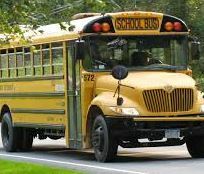 If you are new to Wake County or don’t have kids in the school system, it may seem strange that there are yellow buses running throughout the summer. All the local high schools are on “traditional” schedules where the kids and teachers have the summers off. However, the elementary and middle schools have varying schedules – they may be on a traditional schedule OR a year round schedule. Buses run all year long here in Wake County and do not have the summers off – so be on the lookout for stopped buses as they do have kids on them. It’s a little different being on a year round schedule if you’re used to schools starting around Labor Day & ending in early June. You will hear language that includes the word “track out” – that means that kids are on a 3-week break while other kids are in session. This allows for schools to accommodate more kids while utilizing the facilities throughout the year. You’ll also hear about “track out camps” – most kid-friendly organizations (music lessons, karate, trampoline places, YMCA, even churches) offer sessions that usually last a week where kids can be supervised, learn something new, and be social. They are not cheap but they are a great way to occupy kids, even if it’s only occasionally. NC School Bus Safety concerns are huge throughout our state. This website includes everything you could ever want to know about kids riding the bus. There are FAQs, seat belt questions, a kid-friendly page with games, and information about illegally passing a bus. We all want our kids to be safe and make it where they are supposed to go. Linda Craft & Team is a locally owned real estate company where every dollar earned proudly stays in the community. Our Team is celebrating its’ 30th Anniversary and leading the Triangle in 2014 as the #1 Team for previously owned homes SOLD! We would love to help you too! Please call our office today to set up a free consultation with one of our expert team members. As you might already know, summertime is a very busy time for real estate agents. That’s why so many home buyers decide to enter the market during this time of year. If you too are a prospective home buyer planning to enter the market soon, then you’ve visited the right real estate blog! Today, we’re going to share four things that every home buyer should know about appraisals. What Are Appraisals and Why Are They Important? An appraisal is the valuation of a property by the estimate of an authorized person. These are particularly important for those who will be taking out a loan on their next home. And unless you’re independently wealthy (or have been successful in building a sizeable savings account), you will more than likely end up requesting a loan. When you ask for that loan, banks reference your home’s appraisal as a way of deciding how much to give you. That’s why appraisals are so important. Consider this example: Let’s say you make a purchase offer on a home for $120,000. You need a loan for exactly that amount. However, when the appraisal comes back, it says the home is worth only $100,000 – and the bank isn’t willing to give you a penny more. This means that you’re faced with a $20,000 budget gap. And that’s enough to kill many a real estate deal. But Don’t Worry – We Can Help! Appraisers must meet certain criteria first. 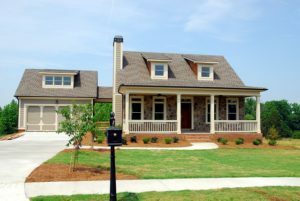 According to the Appraisal Institute, a qualified appraiser should be licensed or certified and also should be familiar with the local area. What’s more, federal regulations stipulate that the appraiser must be impartial and have no direct or indirect interest in the transaction. Fannie Mae even requires that appraisers certify that they have experience appraising similar properties in the same area. Appraisal values are influenced by a number of factors. For instance, appraisers will consider recent sales of similar properties as well as current market trends. They’ll also factor in such things as the home’s amenities, number of bedrooms, floor plan functionality and more. Appraisers are required to do a complete visual inspection of the interior and exterior of the home. During this time, they’re also required to note any conditions that may adversely impact the property’s value. This may include needed repairs. Generally speaking, appraisers use Fannie Mae’s Uniform Residential Appraisal Report for single-family homes. This report asks the appraiser a number of questions, including what the home’s interior and exterior look like, what neighborhood it’s located in and what nearby comparable sales there are. Other parts of the report include: a street map showing the appraised property, an exterior building sketch, an explanation of how the square footage was calculated, and photos of the home. After providing all of this information, the appraiser offers an analysis and conclusions about the property’s value based on this information. We hope you found the above information insightful as a prospective home buyer. Hopefully, if all goes well, the appraisal on your next home will go smoothly and you’ll be that much closer to owning your own home. For EVERY stage of the home buying process, we want you to know that we’ll be there to assist you in order to make the experience as seamless as possible. Contact us today to learn more about the services we provide and the valuable advice and insight we can offer. 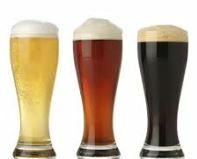 Bottle shops also serve draught beer. These are great places to purchase beer to take home, but also enjoy a pint while you’re there. Most of these places will also fill growlers (typically a glass jug) with the beers they have on draught for you to take home. Lincoln Brewing and Bottle Co. There haven’t been any breweries in North Raleigh until now. Compass Rose Brewery located off Gresham Lake Road recently opened its doors and has a beautiful tasting area. They also have frequent visits from food trucks and a family friendly vibe going on. Check out their Facebook page for updates. Another craft beer establishment worth mentioning is Sawmill Taproom on Leadmine Road. For many years this was the only place in North Raleigh for quality craft beer and they still have a nice lineup of craft beers on tap and good food for your enjoyment as well. They deserve a lot of love for being at the forefront of this glorious revolution. Cheers!